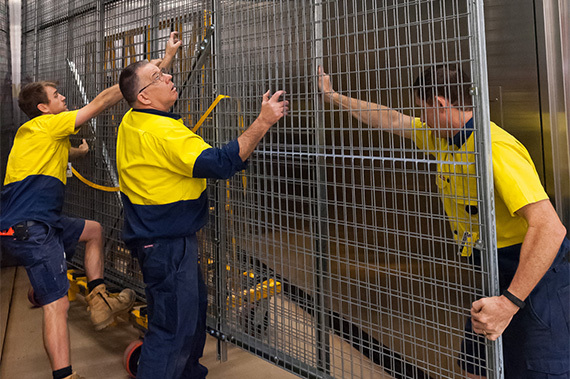 Change is afoot at the Queensland Art Gallery with the Collection Storage Upgrade project. 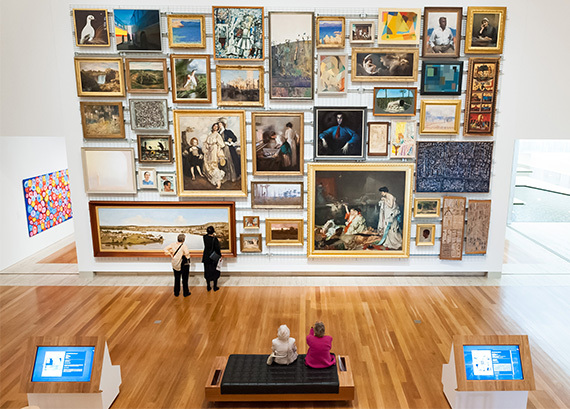 Art museums are defined by the quality and significance of their collections. 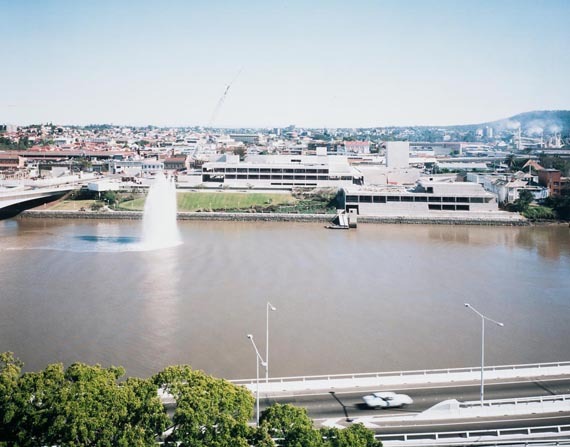 Consequently, the expansion and preservation of the art collection is part of QAGOMA’s mission, this has been the case since the first work was purchased in 1895. Many of the works acquired by the Gallery in those early decades, remain among the most popular and treasured paintings in the Collection. 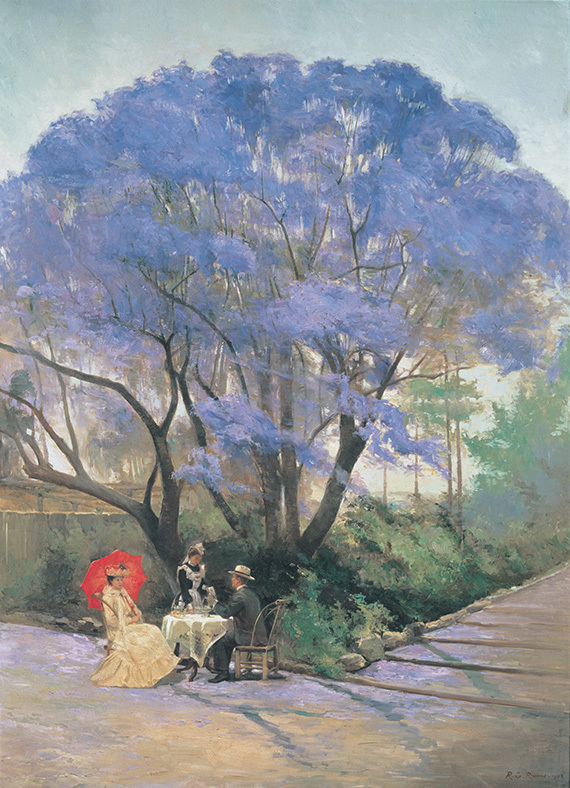 Such works as Under the jacaranda by R Godfrey Rivers purchased in 1903 is currently on display in ‘Moving Pictures: Towards a Rehang of Australian Art’. 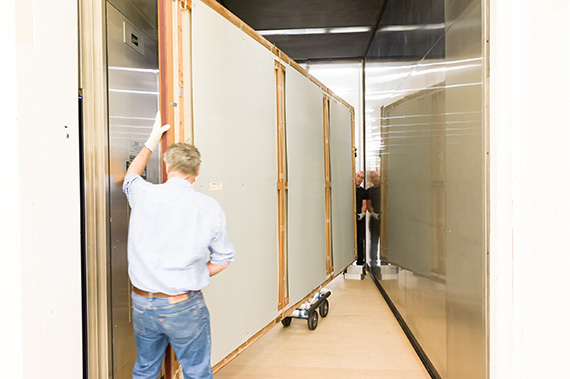 As our Collection continues to grow every year, either through generous donations or targeted acquisitions, so too must collection storage spaces need to constantly keep pace through expansion and modernisation – especially with increased storage requirements for larger twenty-first century artworks. Historically, the Gallery’s collecting has taken place across traditional areas, however, the focus has shifted towards the representation of modern and contemporary cultures. 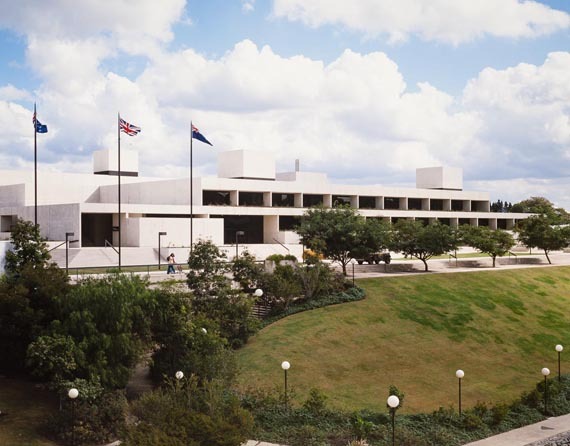 QAGOMA is home to works from Australia and around the world, in every imaginable medium and holds an internationally significant collection of contemporary Asian and Pacific art. Shaped by its history and projecting into the future, the Collection is a record of the institution’s past and an expression of its aspirations with each acquisition considered for how it might contribute to various conversations. Therefore the Collection is at the heart of the Gallery and this must be expertly cared for so it is enjoyed by future generations. 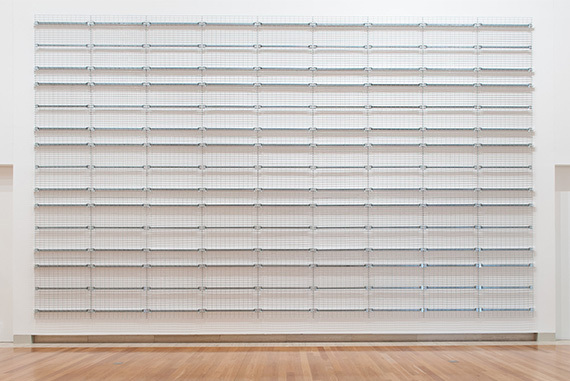 The Gallery’s current Collection comprises over 17 000 works of art and at any one time there is generally only around 5% of the Collection on display across both QAG and GOMA, 3% on outward loans and the remaining 92% held in collection storage. 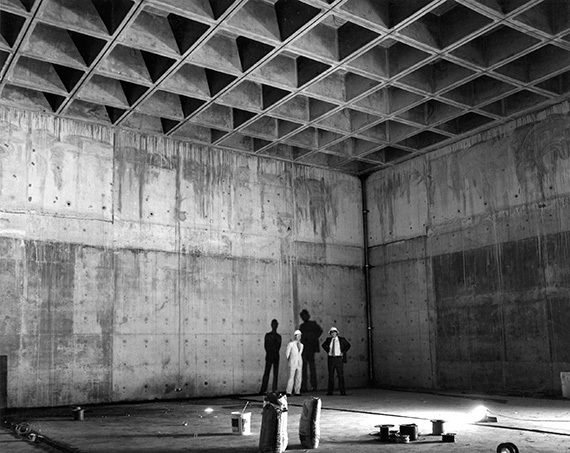 The Gallery is currently expanding the collection storage space in line with architect Robin Gibson’s original intend for a mezzanine storage level within the existing collection space. 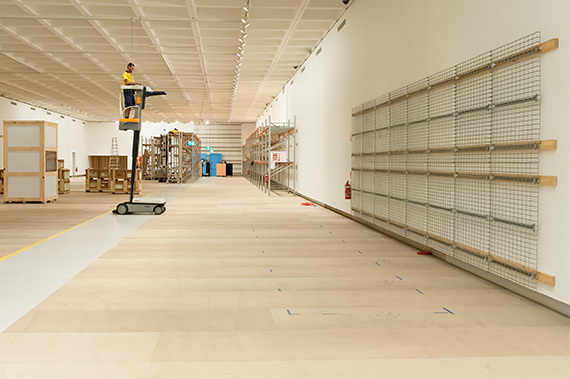 The mezzanine development will increase Queensland Art Gallery’s (QAG) storage capacity by 510m² or 31% overall. 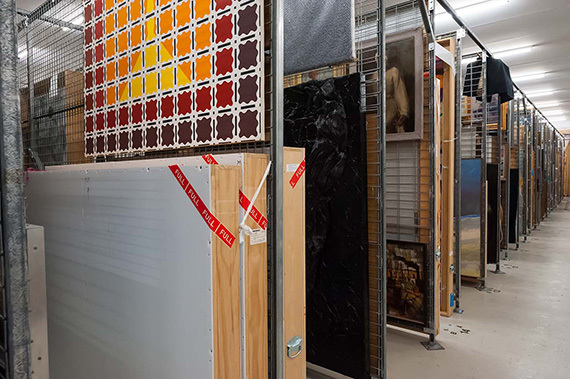 At the same time as expanding the collection floor space the Gallery will take the opportunity to upgrade and modernise storage systems originally installed when QAG opened in 1982, including the installation of a modular rolled paintings storage system. The combination of the mezzanine construction and system upgrades will allow the Gallery to optimise the use of space and allow for the continued growth of the Collection. 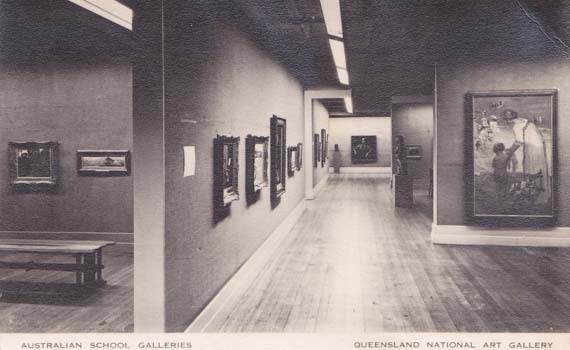 For the mezzanine construction to proceed without risk to works of art the Collection will be moved for the first time in over 40 years since it was transported from temporary premises on the fifth and sixth floor of the MIM building in Ann Street, Brisbane in preparation for the Gallery’s new premises opening at South Bank on 21 June 1982. 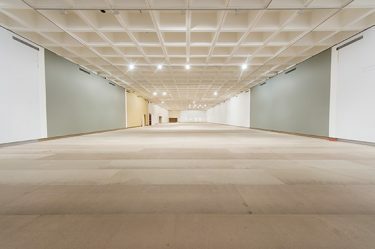 Being of similar floor area, the Gallery took the decision to close the Josephine Ulrick and Win Schubert Galleries (Galleries 10-13) and the Queensland Artists Gallery (Gallery 14) for the duration of the project allowing the temporary but safe storage of the Collection. In preparation for the move Gallery staff have been working on the preparation of the Collection including a full survey of all works, construction of art handing frames, stillage’s (precisely tailored containers to store and move artworks) and speciality packing for delicate and sensitive objects. 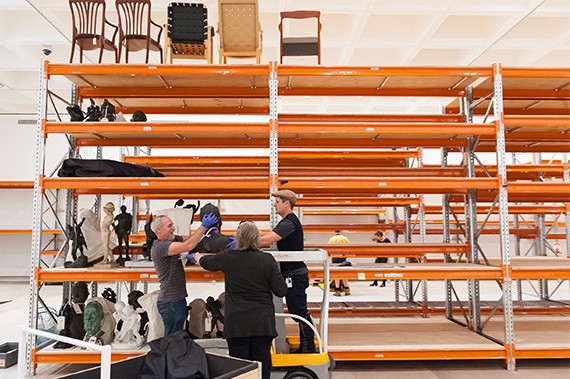 The gargantuan task of moving the collection is now in progress and on track to be ready for the start of construction at the beginning of September 2016. 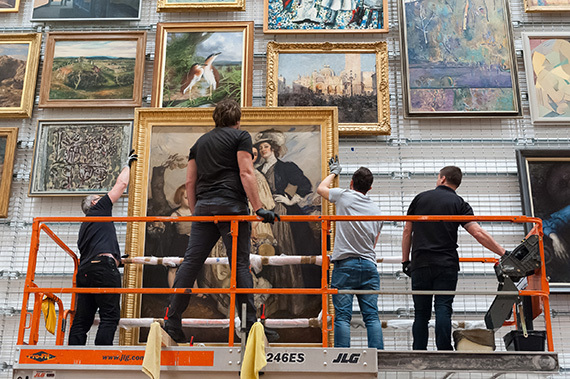 For the duration of the project the Gallery presents a salon hang of Collection favourites. 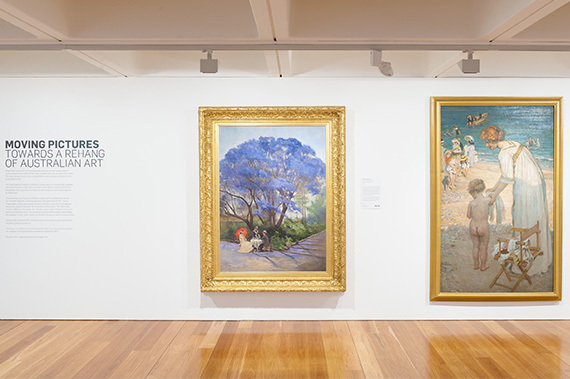 ‘Moving Pictures: Towards a Rehang of Australian Art’ which opened in June is already proving popular with visitors. 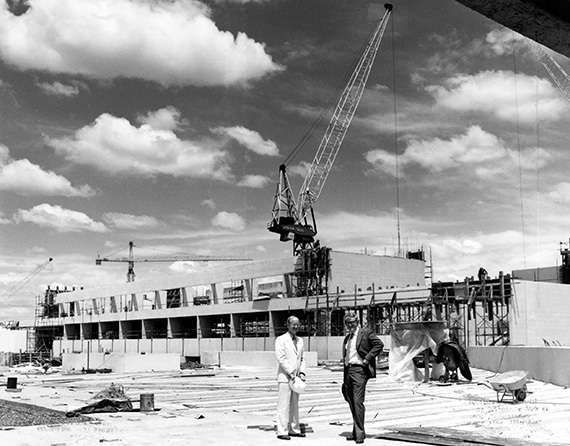 At the end of the project in September 2017 the Gallery will have the wonderful opportunity to re-imagine the presentation of its Australian collection. 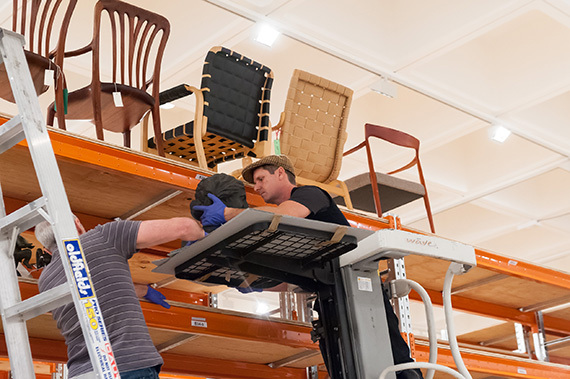 Follow us for more updates on the Collection Storage Upgrade and Australian Art Collection Highlights currently on display in ‘Moving Pictures’.